When our daughter Fien was born, I developed a communication strategy which allowed us to inform the entire world with one single email. For our to be expected newborn I redesigned the system. 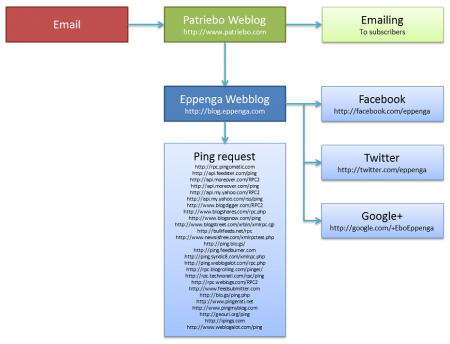 Once a special email is sent it gets published automatically on our family blog (Patriebo), which will also send an automated email to all subscribers. 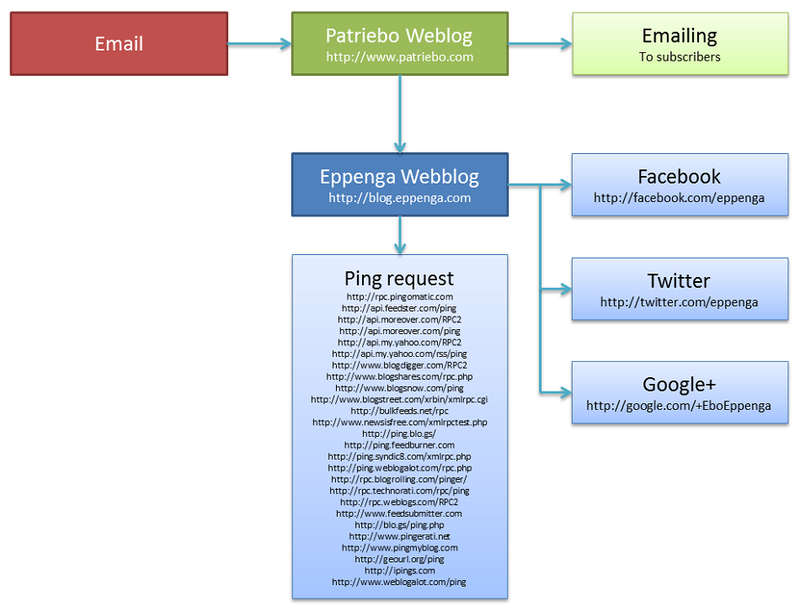 Parallel the message is syndicated to my personal blog (Eppenga) from where it’s pushed to a list of sites via a ping request and the social media. Within half an hour the message will reach over thousand people, will be firmly in the search results of Google and all this is automated.